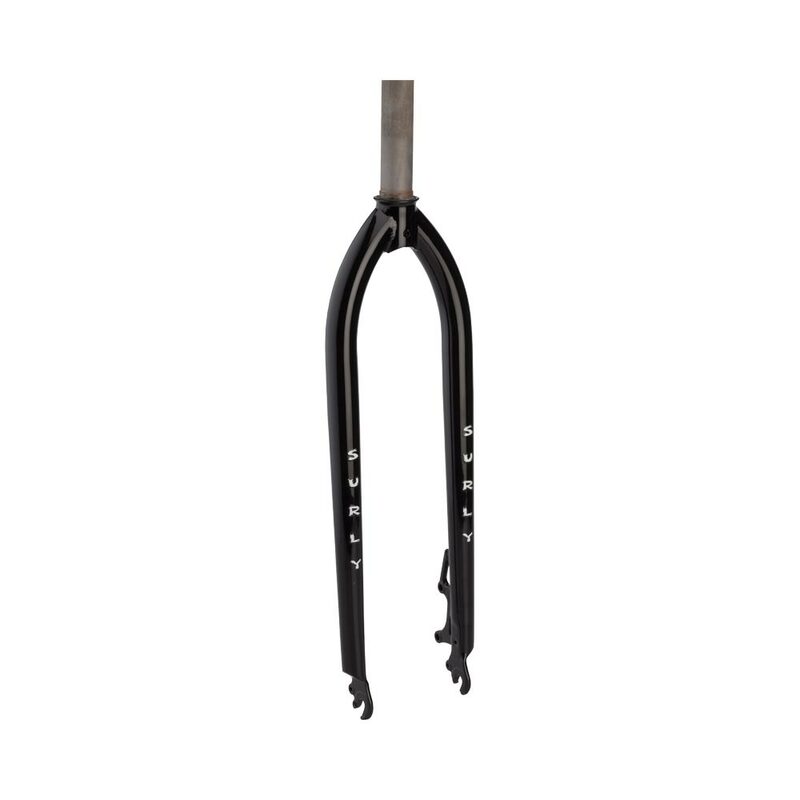 Our 1x1 fork is designed for use with our 1x1 frame. It uses 51mm I.S. disc caliper mounts, line guides, and it is corrected for frames designed for 100mm suspension forks. The 1x1 fork is triple butted and can fit real big tires…you can stuff 2.7˝ tires between the blades and have room to spare. Made from 4130 Chromoly tubing, with 1-1/8˝ threadless steerers and powdercoated black.